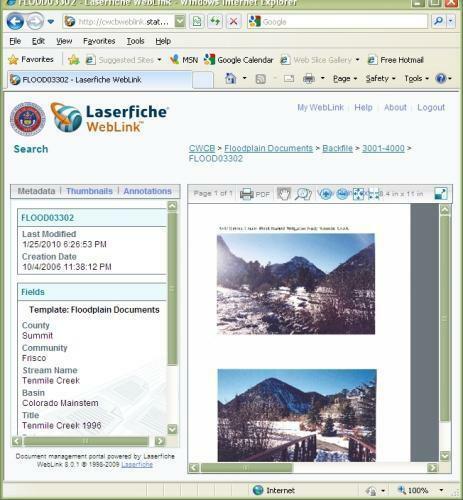 The Colorado Water Conservation Board uses Laserfiche integrated with ESRI ArcGIS software in two different systems: the Instream Flow Decision Support System and the Flood Decision Support System. I will walk you through each of those integrations. 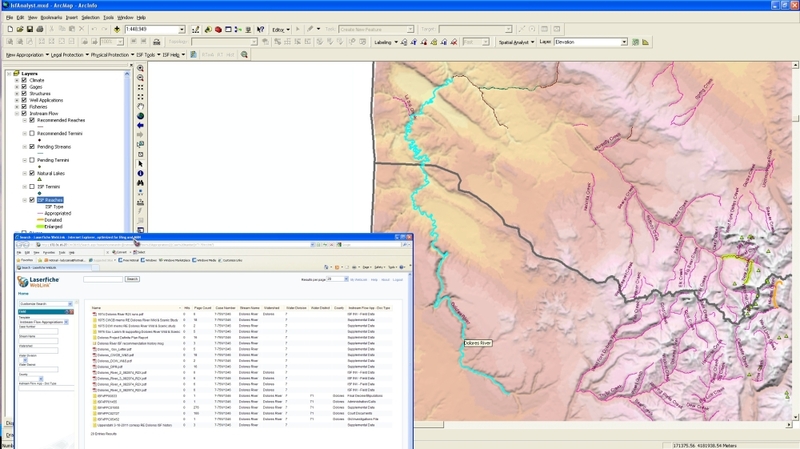 The ISFDSS is used to legally protect and monitor water rights in Colorado and make sure that there is enough water in the streams for the natural environment. It is for internal use only, and is not available to the public. 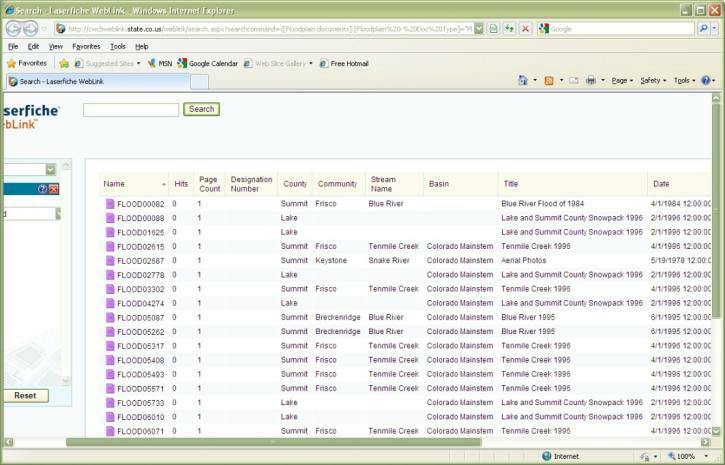 On entering the application, the user is greeted with a full view of the state of Colorado. The user can then zoom into various streams and stream segments, using the Zoom In icon . 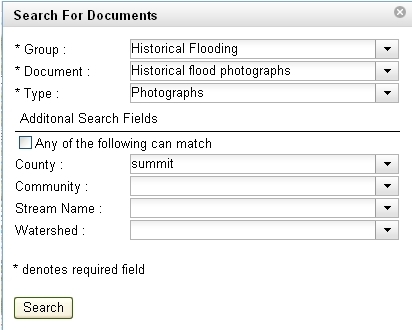 The Flood DSS is an application that is available on our public Website. 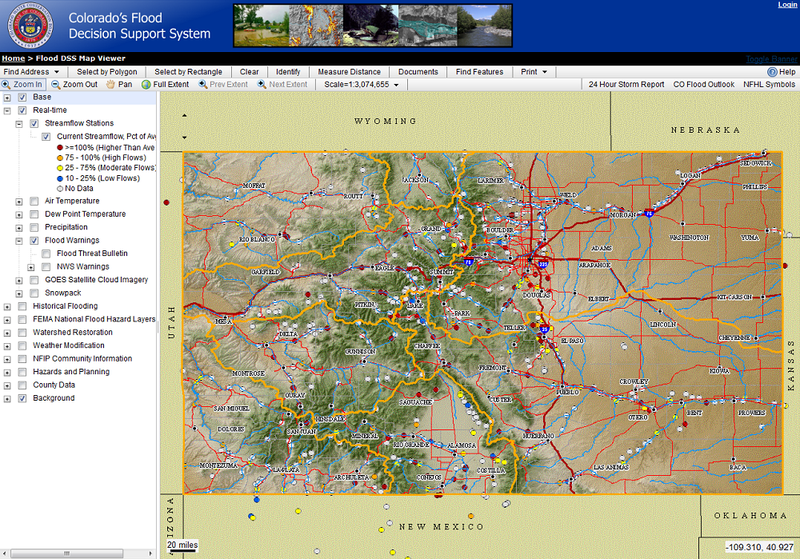 Users are able to look up documents related to floods in Colorado. 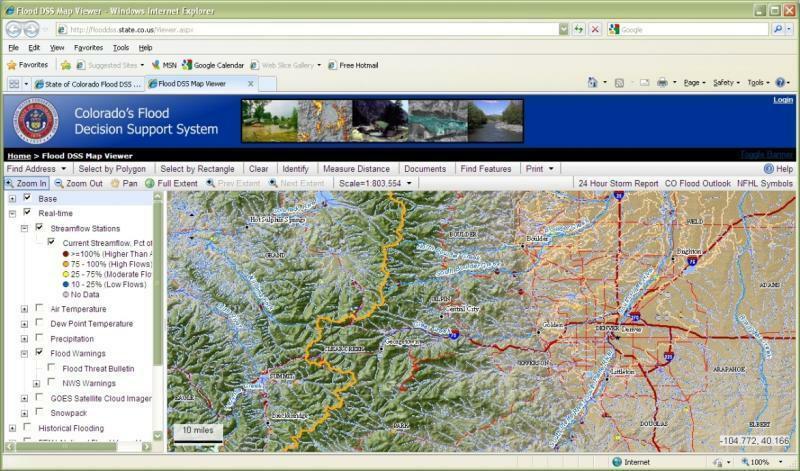 When users open the application, they see a map of the entire state of Colorado. They can then zoom into an area on the map. 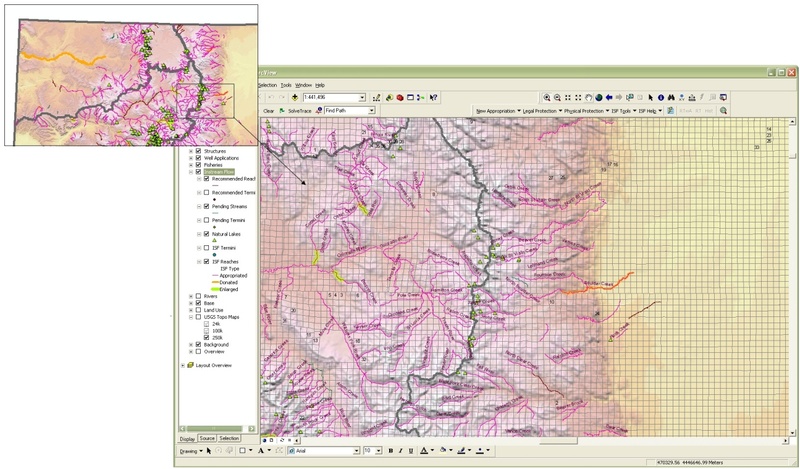 Once users enter the search criteria and click on Search, an encoded URL string is created based on the area of the map that is visible on the screen, and related documents are returned in WebLink. The code to configure this search is similar to the one used in the ISFDSS. 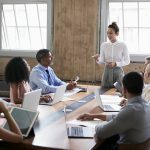 Clicking on a document opens it up in WebLink or in the Adobe plug-In, depending on whether the document is scanned or electronic.